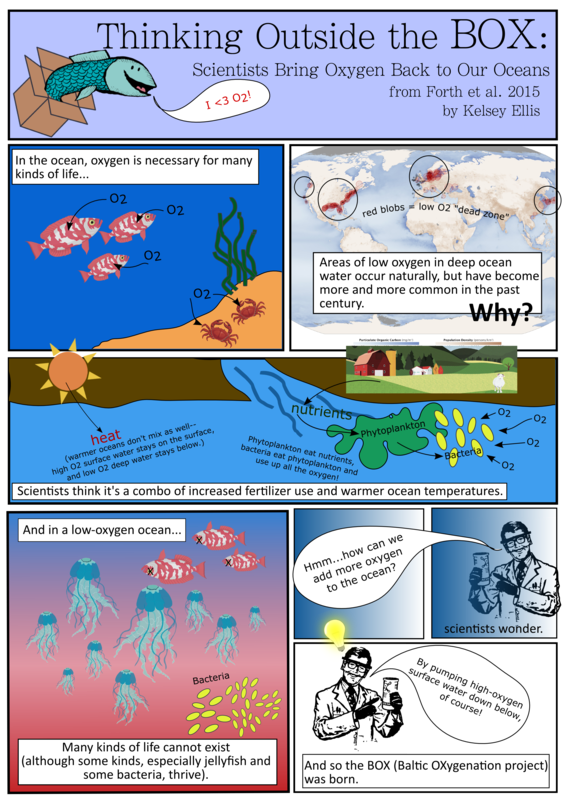 Oxygen is (as you’re all probably aware) important to life on land–but it’s extremely important to marine life as well. Most sea creatures, such as fish, “breathe” water and extract oxygen using their gills. Without oxygenated seawater, the vast majority of life in our oceans, other than phytoplankton and some specially adapted bacteria, would cease to exist. 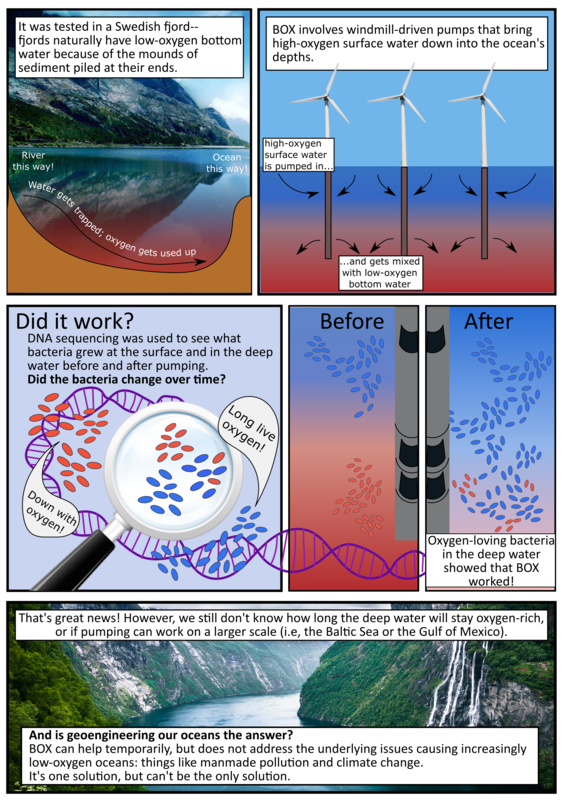 Areas of low oxygen in the oceans have been increasing in size and frequency, which is why one group of scientists (link to paper) has been working on a geoengineering project that might be able to increase marine oxygen levels–see my attempt at a comic below for more info! Tags: geoengineering, hypoxia, oxygenation. Bookmark the permalink.